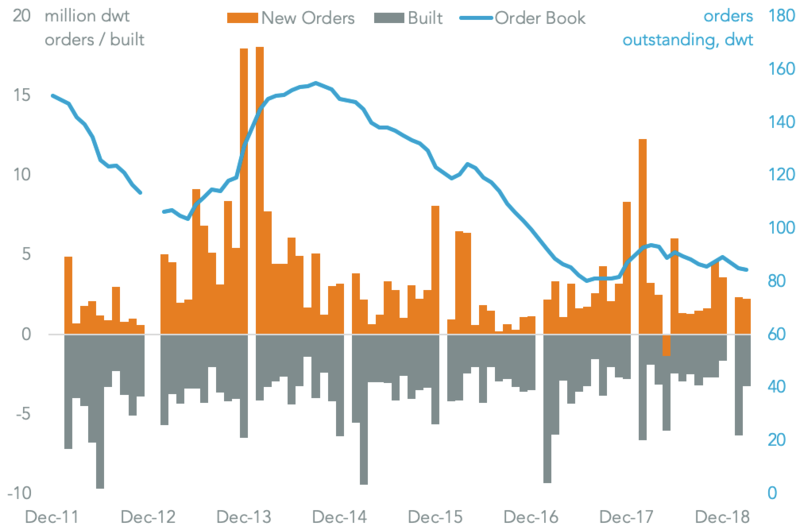 With around 60.0% of companies having reported calendar 4Q earnings it appears that businesses worries are turning more to Brexit than to U.S. tariffs. Panjiva analysis of S&P Global Market Intelligence transcript data shows 1,158 companies out of 4,684 that have held conference calls since the start of the year – or 24.7% – have mentioned either Brexit or tariffs. That’s similar to the whole of the conference calls held in 4Q. However, there’s been a shift with more concerned about Brexit than before with 11.5% mentioning it this quarter from 6.1% last quarter while mentions of tariffs have dropped to 16.9% from 20.8%. 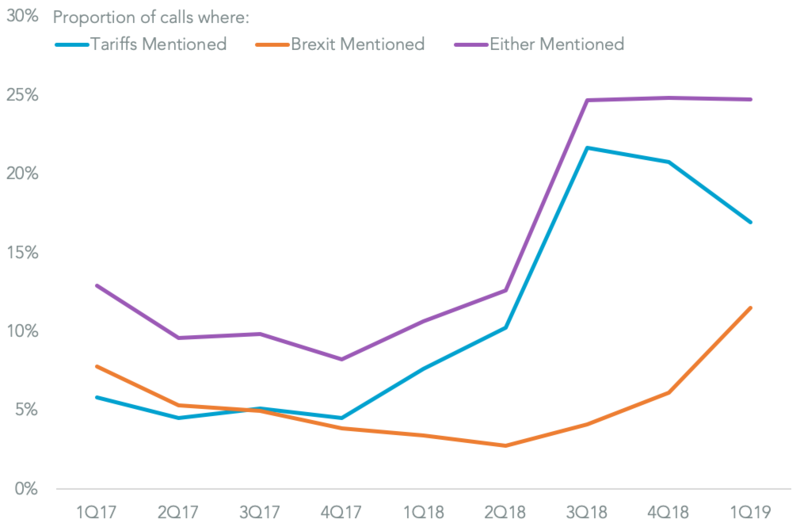 At the industry level companies in the materials sector appear to have become less concerned – or at least see fewer issues – with 24.5% of calls so far in 1Q having mentioned tariff or Brexit from 30.7% in 4Q. That’s likely the result of section 232 steel and aluminum tariffs having been in place since March 2018 and now very much “business as usual”. Potential reductions of tariffs applied to Canada, Mexico and Europe may lead to a resurgence of interest. 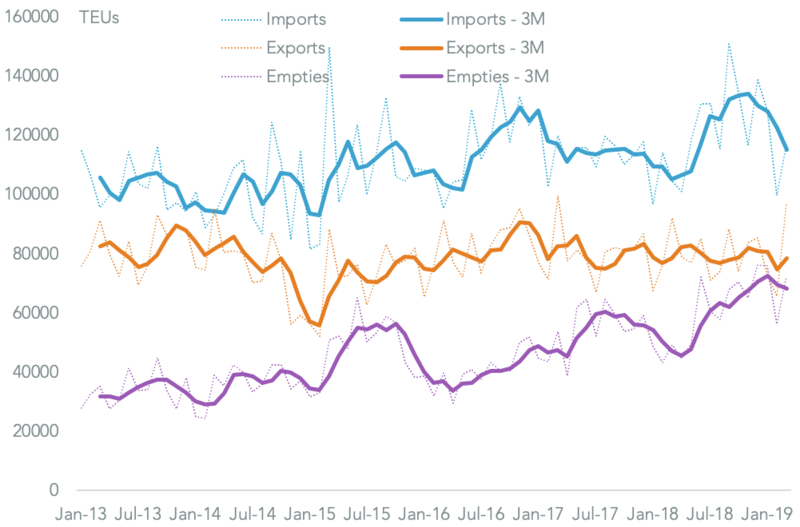 That means the level of mentions in materials has dropped below those of both consumer discretionary (36.3%) and consumer staples (25.6%) where Brexit-related supply chain issues may be becoming more of a concern. 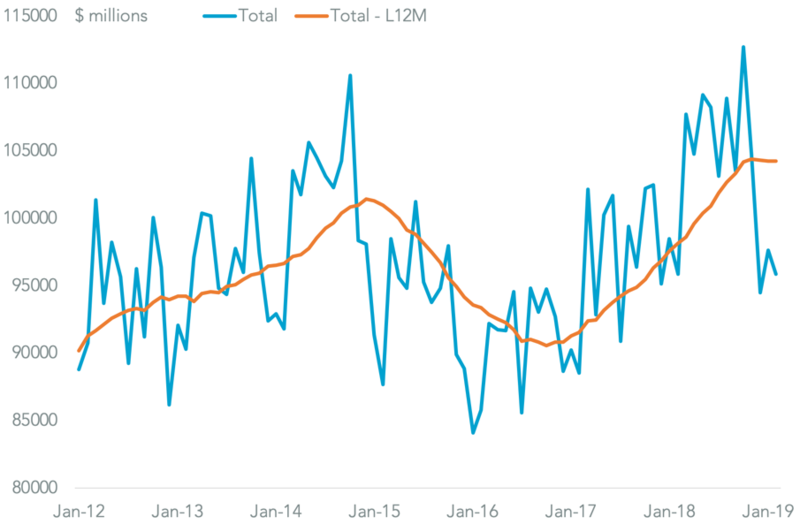 The latter is also an issue for the healthcare sector – as outlined in Panjiva research of Feb. 12 – though concerns generally are lower than other sectors with just 8.3% of calls discussing the topics. 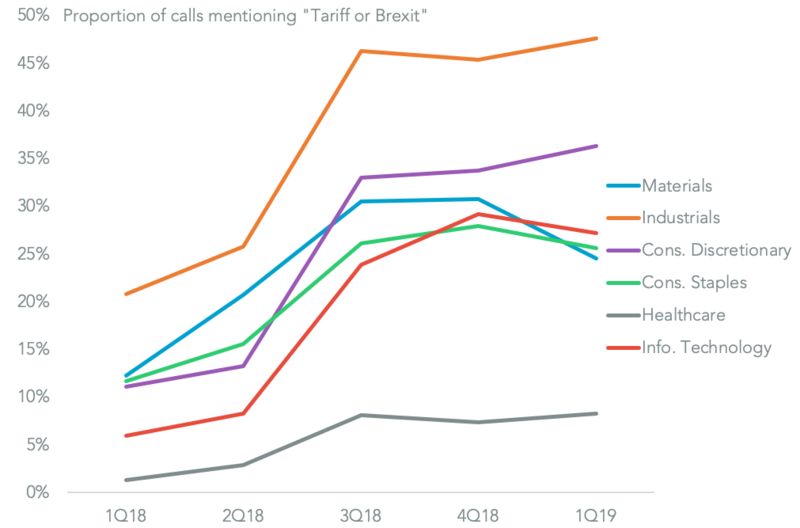 The most frequent level of mentions, however, has been the industrial sector with 47.6% calls discussing tariffs or Brexit, up from 45.3% in the fourth quarter. 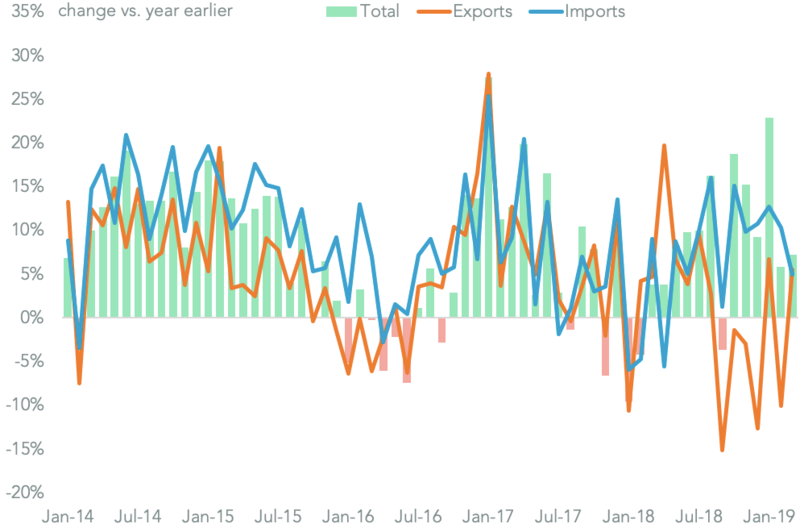 Given U.S.-China trade talks appear to be nearing a conclusion sentiment may turn more positive, or simply get fewer mentions later in the earnings reporting season.